On the day of the 2016 NFL Draft, let’s revisit the current Fantasy quarterback landscape. One of the biggest moves in Free Agency came at the position, but there were other moves that both helped and hurt the value for multiple QBs. See who rises or falls as you prepare WAY TOO EARLY for your draft this summer. Save your Super Bowl 50 hot takes. It’s highly probable you reached your Fantasy Championship last year because you had Cam Newton starting down the stretch. The 13 touchdowns he threw in weeks 12-14 would suggest so. The offseason moves the Panthers made prior to this week would suggest they are committed to continue running with him and Jonathan Stewart. Letting Josh Norman walk freed up $14 million more of cap room to work with. 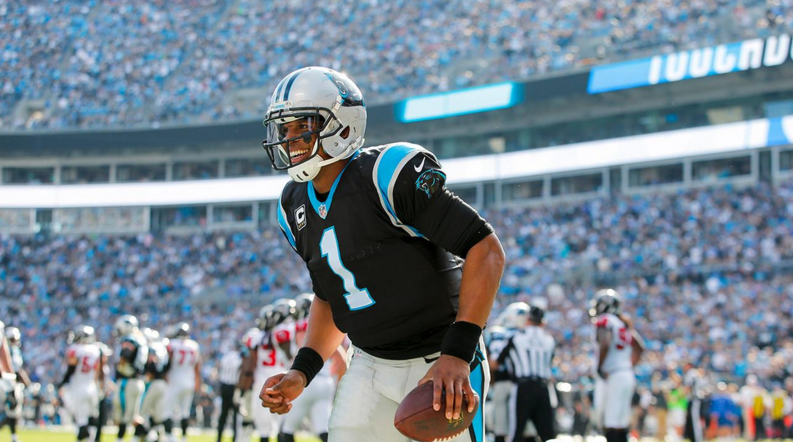 Let’s see what else is added to Newton’s offense, on top of a returning Kelvin Benjamin. Last year’s biggest steal for many (before his suspension was lifted) just added another scary red zone target in Martellus Bennett. Tom Brady was a magician last year with a depleted receiver group, yet threw the 3rd highest touchdown total of his career (36) and averaged 298 yards per game. He’ll be 39 as the 2016 season starts, but there wasn’t much evidence of him slowing down yet. Okay, I’ve come to my senses. Aaron Rodgers is good at football, I know. I still wouldn’t recommend spending a 1st or early 2nd round pick on him, but adding Jared Cook to Rodgers’ arsenal helps in the red zone. The Packers aren’t particularly known for 2-TE looks, but they have that option now from 25 yards and in. If Eddie Lacy meets his “comeback” hype too, the Packers offense could be devastating and that would benefit Rodgers owners the most. Carson Palmers numbers were very similar to Tom Brady’s last season. The Cardinals also brought the band back together, re-signing Jermaine Gresham, Chris Johnson, and Jaron Brown. They are 5 deep in quality WRs, and the Top 3 stack up with any group in the league. As long as the 36-year old can be held upright, you should get the consistent 2 touchdowns and 290 yards per game at least. Russell Wilson’s 21/2 TD-to-INT ratio from Week 10-15 are exactly why you put him in the Top 5. He put up his highest touchdown total in 2015 (34), which was 14 more than the season prior. What makes you hesitant is his annual slow start. Since being drafted in 2012, Wilson has averaged 1.3 touchdowns and 210.25 yards per game through through first 5 weeks of the season. What’s nice is that he hardly turned the ball over, but you’re hoping Seahawks play-callers stick to the formula they found last season, attacking downfield with Doug Baldwin and Tyler Lockett. 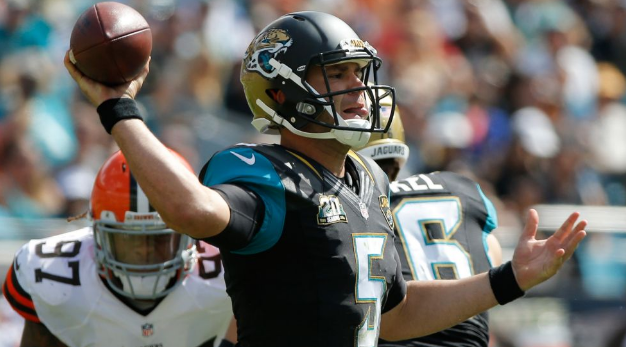 In his first two seasons, Blake Bortles was the most sacked quarterback in the league. Improving his touchdown total by 24 (35 in 2015) was pretty encouraging though, as was finding chemistry with two of the game’s most consistent receivers. The Jaguars added some offensive line help picking up former Steelers tackle Kelvin Beachum and improved their defense by signing Malik Jackson and Tashaun Gipson. Having Chis Ivory in the backfield too should also help forcing opposing defenses to fill the box. It’s safe to assume #BortlesKombat will continue to heat up. Eli Manning, of all people, has challenged Odell Beckham Jr. to improve for next season. I guess a quarterback and captain is responsible for that, but Beckham continued to be the best thing going for the Giants offense having scored 25 touchdowns in 2 seasons. Manning seems to finally be getting a healthy Victor Cruz back and Dwayne Harris made solid strides as the #3 guy. Coming off the highest touchdown total of his career (35), Manning should build on it with another year of OBJ and the same offensive play-calling should make. 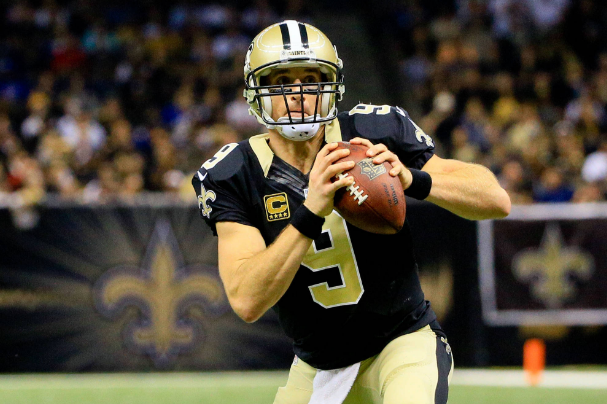 Drew Brees missed his first game since 2009 last season and still finished the season with 32 touchdowns and 4,870 yards (324 yards per game). He’s younger than Brady but might have a bit more wear-and-tear. However, the extension Sean Payton received makes me think he’s going to come out firing with his QB this year. Brees has an elite deep option in Brandin Cooks, two other solid receivers in Brandon Coleman and Willie Snead, a new red zone threat in Coby Fleener and two effective pass catching running backs…Things are looking bright. After adding Donald Penn, the Raiders offensive line is now one of the best in all of football. When he wasn’t under pressure, Derek Carr had a passer rating of 96.4 last year. That and the 32 touchdowns he threw should improve as his chemistry with Amari Cooper and Michael Crabtree do as well. Losing Martavis Bryant hurts the Steelers offense a lot. He is a top tier talent and Ben Roethlisberger wasn’t necessarily his best during his 5-game suspension last season, 7 touchdowns and 6 interceptions. Roethlisberger’s longtime go-to tight end also retired. However, the Steelers upgraded at the position by signing Ladarius Green and they still have Antonio Brown, plus Le’Veon Bell returns. I don’t know if you can trust Big Ben to stay in one piece all season, but his knack for 3+ touchdown games and average of 328 yards per last season make him Top 10 worthy. Which Andrew Luck will we get this year? The one who went 2-5 and threw just 15 touchdown passes last season, or the one who threw 40 the year before? The Colts didn’t add much to their offensive line to protect him but they do still have speedsters T.Y. Hilton and Donte Moncrief to throw downfield to. It will be interesting to see how Luck bounces back. Philip Rivers could be had for great value. With a healthy Keenan Allen through 8 games, Rivers averaged 344 yards and 2 touchdowns per game. Then Ken Whisenhunt rejoined the Chargers staff, who helped Rivers get his groove back in 2013, and they added the Cleveland Browns’ #1 receiver, Travis Benjamin. If everyone stays healthy, the Chargers could have a very high powered offense. Andy Dalton had a great season before his injury last year. 25 touchdowns and 7 interceptions are much better than the 19 and 17 before then. His #2 and #3 receivers, Marvin Jones and Mohamed Sanu, left via free agency but it doesn’t hurt to have weapons like AJ Green, Tyler Eifert and Giovani Bernard. Brandon LaFell also joins the Bengals offense and possibly a first round quality receiver too from this year’s draft. Matthew Stafford is coming off his 2nd 30+ touchdown season of his career (32), but he’s going to be doing so without Calvin “Megatron” Johnson. The Lions did their best to fill the need at WR by picking up Marvin Jones, the best WR on the market after Alshon Jeffrey was franchised tagged, and Golden Tate has proven he can shine without Megatron. What’s also encouraging are the 17 touchdowns Stafford threw in the final 6 weeks of the season. His two running backs, Ameer Abdullah and Theo Riddick, are strong in the passing game as well. I’m not sure how Kirk Cousins is supposed to feel about getting franchise tagged and then seeing Josh Norman get a $75 million contract after. If he wants to get paid more somewhere though, it would be in his best interest to play like the guy who threw 11 touchdown passes and zero interceptions over his last 3 games. He finished the season with a 101.6 passer rating and a healthy Jordan Reed can only help that continue in 2016. It’s taken a long time but it finally appears the Chicago Bears are putting a proper offense around Jay Cutler. The franchise tagged the best WR in free agency, Alshon Jeffrey. They sured up the right side of their offensive line by adding tackle Bobby Massie and kicking Pro Bowler Kyle Long back to guard. They also get to find out what Kevin White is made of. Continuity in offensive scheme and better coaching should keep the arrow pointing up for Cutler. We go from one Adam Gase project to the next. Ryan Tannehill was on a steady track, improving on touchdown totals for his first 3 seasons, but took a step back in 2015 with a coaching staff that really didn’t seem to know what they were doing. He can throw and he can run. His new head coach specializes in utilizing quarterbacks with Tannehill’s talent in play-action, minimizing their mistakes. His Top WR, Jarvis Landry, also looks ready to explode. Matt Ryan should be much higher, but his 2015 season makes it very fair to doubt his abilities. With arguably the best WR in football, Julio Jones, and an emerging star at running back, Devonta Freeman, Ryan only threw 21 touchdowns last year. Only once did he throw 3 or more touchdowns in a game. Only ONCE in his career has thrown 30+ touchdowns in a season. Too often did you see him turn the ball over on scoring drives or get stopped because of his own inaccuracy. The Falcons upgraded his protection this year by adding Alex Mack at center and replaced Roddy White with Mohamed Sanu. It’s now or never, Matty Ice. While Marcus Mariota started out hot, Jameis Winston may have finished the 2015 season looking like the better rookie quarterback. Despite losing 5 of his last 7 games, Winston’s numbers improved after a 5 touchdown performance against the Eagles. He also gets back the best RB that was available in free agency, Doug Martin, and hopefully Mike Evans finds a cure for “the drops”. It will be interesting to see how the team handles itself without Lovie Smith and with Dirk Koetter in charge. It’s really tough to feel confident in Tony Romo as the #1 Fantasy quarterback on your roster. The backfield situation looks better with a committee of Darren McFadden, Alfred Morris and a healthy Lance Dunbar. If those guys get going, you might get the 34-TD Romo. If they don’t, then you have to worry about another season ending injury. Health will be key for both Romo and Dez Bryant in 2016. If by chance they draft Ezekiel Elliott though, you can feel a lot better about the Cowboys in general. There was one quarterback signing in the offseason that made serious waves and that was Brock Osweiler to Houston. He traded throwing to Demaryius Thomas for DeAndre Hopkins and an offensive scheme that earned Brian Hoyer a 100+ passer rating in 5 of his 11 games started. It’s hard to predict how good Osweiler will be after such a small sample size. He threw 10 touchdowns and 6 interceptions in 7 games with Thomas and Emmanuel Sanders as his options. Do Hopkins, Cecil Shorts III, Jalen Strong and fellow signee Lamar Miller help him improve those numbers? “Is Joe Flacco a elite?” – One of my favorite Twitter jokes in sports. Flacco’s never thrown more than 27 touchdowns in his career. He followed up his highest season total with a season-ending injury and just 14 TDs in 10 games. The Ravens are committed to Flacco though, extending him for another 3 years in the offseason. He’ll have Steve Smith Sr. playing his final season and wanting to go out with a bang. They also added Mike Wallace and Benjamin Watson to improve the receiving corps and prepare for for the annual Dennis Pita injury. Marcus Mariota had probably the most impressive start to his career you could ask for, throwing 4 touchdowns in the opener against his rookie counterpart, Jameis Winston. He’d match that total again vs. the Saints while adding 371 yards. However, he was shut out in the TD column 5 times and was only healthy for 12 games. Trading for DeMarco Murray shows the Titans are very committed to the run for 2016, which should help take pressure off Mariota in his sophomore season and set up his passing game better. Alex Smith is a very good game manager, at this point in his career and he can at times be a decent waiver pickup when your #1 guy is on a bye. Twice in 2015, Smith threw 2 touchdowns and ran for another and he was finally back to finding wide receivers in the end zone again (that’s progress, considering the year and half long streak of not throwing TDs to WRs). Smith will also be getting Jamaal Charles back, who is monster when catching the ball out of the backfield. In year 3 of the Teddy Bridgewater era, the Vikings bulked up their offensive line by adding Andre Smith and Alex Boone. After being sacked 44 times last season, that’s a welcomed upgrade for Bridgewater. He’s thrown only 14 touchdowns in each of his first 2 seasons and the Vikings have yet to improve their receiver depth, but more attention to Adrian Peterson by defenses should open things up for Bridgewater this time around. The NFL combine began Tuesday in Indianapolis with workouts and will last through Monday, Feb. 29th. We’ll see all the physical tests live on television, like the 40 yard dash, broad jump, and vertical, but very rarely do we hear about the one-on-one interviews between pro prospects and the people scouting them. Thanks to former 5-year veteran defensive end Austen Lane, we now have some insight into the type of questions that are asked at the combine. Stories like these aren’t made public very often, but we do remember former Dolphins GM Jeff Ireland asking Dez Bryant about whether or not his mother was a prostitute. It will be interesting to see if other players shine light on the interview process at the combine while it’s relevant. Lane was drafted in the 5th round out of Murray State in 2010. He played for the Jaguars, Chiefs, Lions and Bears during his time in the NFL, but many remember his “workout plan of greatness” that he tweeted out during the 2012 offseason the most. The first showings for Leonardo DiCaprio and Alejandro G. Iñárritu’s highly anticipated revenge flick, The Revenant. Thankfully, the internet has concocted something amazing for you before you go check it out! Mashup artist and comedian Demi Adejuyigbe put together this bad boy, since Pawnee apparently gets a lot of love in the movie. If I were to recast Parks and Recreation characters with Revenant actors, I’d have Tom Hardy as April Ludgate. For more, follow along on Facebook or Twitter…or The Bear gets you!